A dog who mysteriously disappeared earlier this week has been found alive and unharmed — 15 feet down a dark, narrow sinkhole in the middle of a marshy field. The lucky pup, named Skye, had gone missing Monday night while out for a walk with her owner near the campus of Penn State. After a plea for help finding her was posted on social media, it received thousands of likes and shares, but no one reported having seen her. Undeterred by the lack of sightings, Skye's owner never gave up searching. The dog, too, evidently never gave up hope of being found. 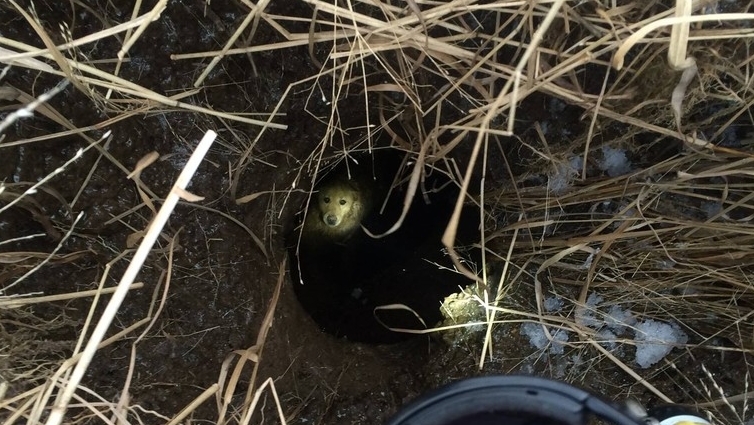 On Wednesday morning, while scouring through a field not far from where Skye was last seen, her owner heard a faint sound of barking — from underground in a deep hole. That's where the missing pup was discovered. 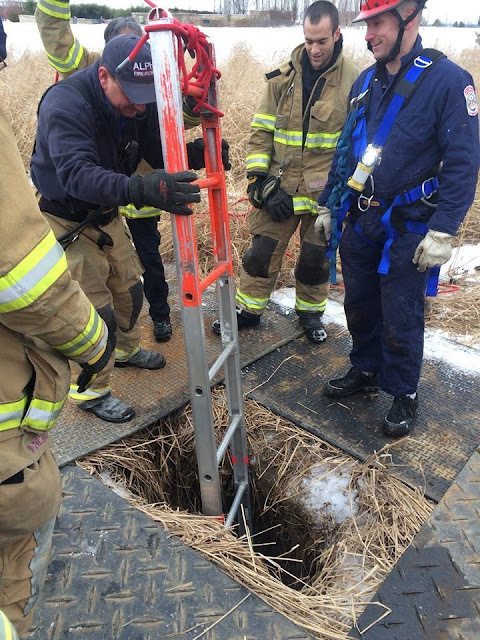 Skye's owner alerted first responders from Alpha Fire Company who arrived to the scene to try to retrieve the dog from her subterranean trap. Sure enough, the rescuer's efforts paid off. Here's footage showing the moment Harris emerged from the hole with Skye in his arms. The dog's reaction to being freed after so long an ordeal? Priceless. Today, Rescue 518 and Engine 510 responded at the request of Asst. Chief Schreiner for a dog that had fallen into a hole at the Penn State Arboretum. 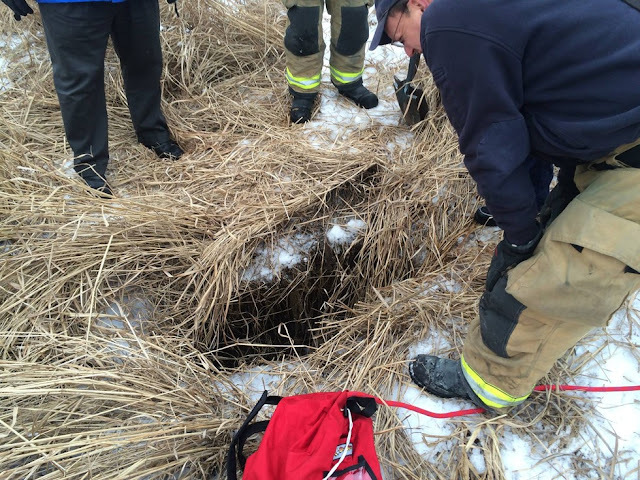 The dog was found to be in a hole approximately 15 feet deep but appeared to be in good health. Confined space operations began and Asst. Chief Harris was sent down to retrieve the dog. 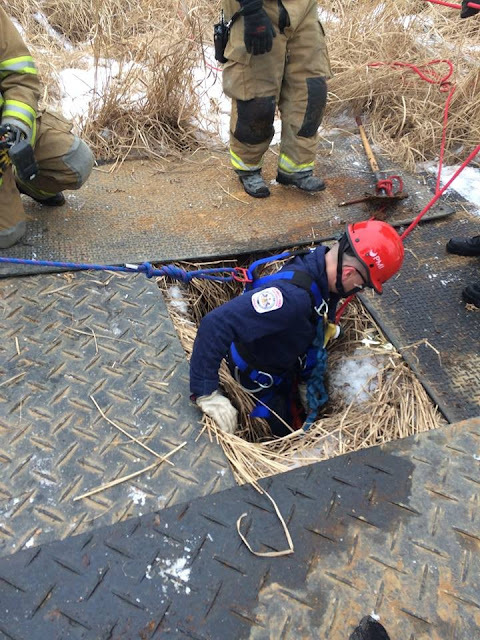 Chief Harris rigged up a dog harness out of anchor straps and the dog was carefully pulled/pushed up out of the hole. 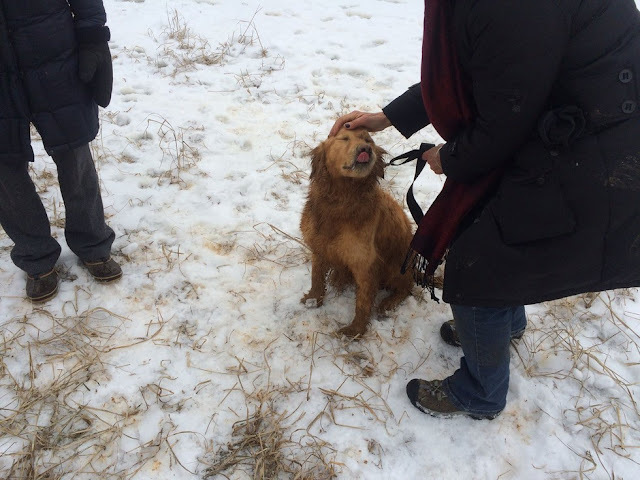 Both the dog and the owner were very happy to be reunited. Responses to "Dog Trapped In Deep, Dark Hole Never Gave Up Hope "
Great, great, great people. Thank you! Didn't exactly go to his owner, now did he? I think pets think we are responsible for all of their troubles. If they fall into a hole, if it is raining or blowing snow. All our fault.